IT is self-evident that America, the heretofore bulwark of liberty for the free world, has taken a rear end seat – to the back of the bus ! – towards safeguarding western civilization. Ain’t that the tragic truth. MORE specifically, under the ISLAMIC-centric leadership of the current administration, it is accurate to state: regardless of the dangers inherent to mosques in America, not only won’t Obama Inc. rein them in, but they will increase their presence exponentially. WHY? BEFORE we delve into the heart of the matter, it is imperative to internalize who the main mischief makers are on American soil, in so far as mosque jihad is concerned. While many are familiar with Saudi Arabia’s Wahhabi-infused thrust into America, few have a clue about Turkey’s PM Erdogan, a major player in the Muslim Brotherhood Mafia and Barack HUSSEIN Obama’s BFF. So much so, he was front and center at this blogger’s global interview: The Muslim Brotherhood’s Quest For Global Dominance: An Interview With Adina Kutnicki. Clear as a bell. Yet, if the above isn’t enough for the doubting Thomases, that’s okay too…peer within. MOREOVER, it is an absolute waste of time and energy (this site’s resources too) to try and convince leftists – the red-set – to decouple themselves from their dangerous liaison with Islamists – the green-set. It is akin to repeatedly banging ones head against the wall, but expecting not to receive brain damage in the process, or a very bad migraine condition as a result. Fuggedaboutit! The evidence regarding mosques in America (Canada and the rest of the west) leads to only one conclusion: they are a clear and present danger! Where to begin…how about here: American mosques are training for jihad; priming assaults on unsuspecting citizens! Indeed, jihadi training IS religiously garbed, yet leftist cohorts afford them dangerous cover. Can you believe it? You better. And if the recent jihad in Beantown didn’t spell out the dangers, then little more will. Its mosques were (are) DEEPLY in the fray: U.S. based Wahhabi-infused mosques and Boston’s jihad…rock solid! NOW, it is more than noteworthy that Australia is entering the fray, basically, leading the western charge. LET’s delve deeper: Aussies have been victims of Islamic jihad, as have countless nations. In fact, in Dec. 2014, the world witnessed said barbarism when a Sydney cafe was held hostage to Islamic terrorists. SO, even though Aussies have a worldwide reputation for being a “laid back” type of people, it is also apparent that when it comes to maintaining their actually security, well, they run circles around Americans. 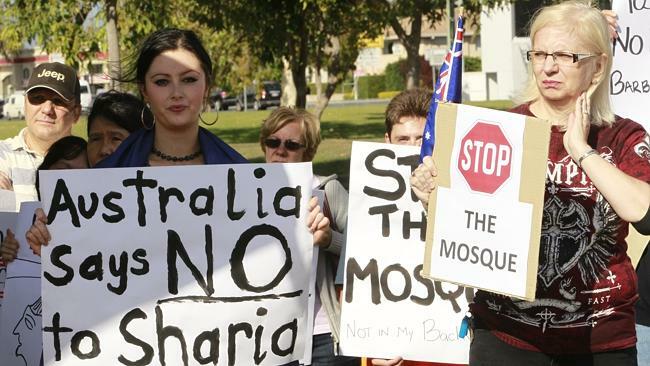 RESULTANT, Queensland, the second largest and the third most populous state in Australia, is taking a DIRECT stand against Islam’s barracks; its mosques! Sunshine Coast Daily Steve Dickson will take a Sunshine Coast group’s petition, which is effectively calling for a ban on mosques, to State Parliament. They have asked for the definition to “exclude any applicant who advocates, teaches or practices an ideology philosophy or political system which contradicts the tenets of Australian Law” . They have also requested the House make legislative changes to exclude any group or members which encourage practices like Sharia law, the subjugation of woman, honour killing and polygamous marriage. 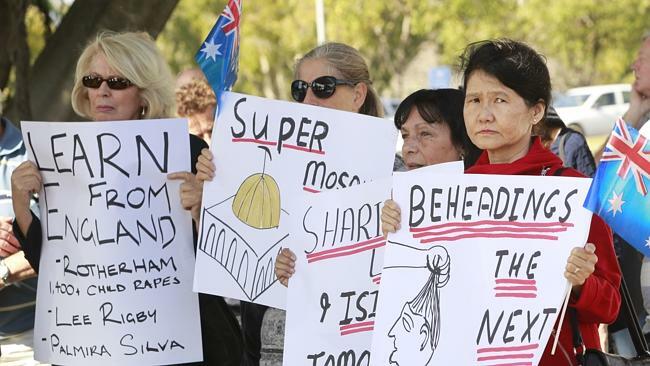 Further they ask that the change would “defend Queensland communities and eliminate the threat of terrorism and the threat from political Islam”. He declined to answer a direct question as to whether he supported the petition, only to say he would consider any legislative changes if they were proposed by the government. 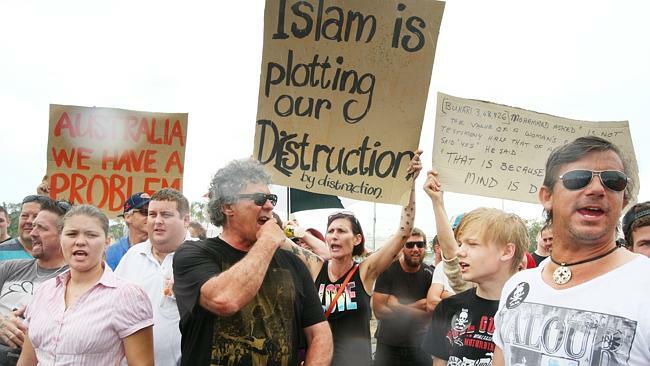 Sunshine Coast Safe Communities has also prepared a petition to take to the Sunshine Coast Council, requesting it to adopt the “precautionary principle” and refuse the application for a mosque in Church St, Maroochydore. This petition has not been presented yet. Sunshine Coast Safe Communities is hosting a forum in Kawana tomorrow to “provide understanding on the politics of Islam”. The Sunshine Coast Daily approached all the Sunshine Coast MPs to gauge their views on the Sunshine Coast Safe Communities forum and whether the region had reason to be concerned about Muslims. The only MP who indicated support for the forum was Mr Dickson. He said he believed there was a need for the forum “to boost awareness of key topical issues within today’s modern society”. LET this investigative journalist state for the absolute record: too many westerners refuse to recognize the ISLAMIC cancer in their midst, aside from those who actually support its rise, regardless of the reasons why. NOT only that, but elected officials (and their non-elected so-called elitist back benchers) have a vested interest in supporting the encroachment of the front line of Islam; its mosques. MOREOVER, some in Australia – as in America and elsewhere – have their professional and financial interests tied into screaming the reflexive canard, “Islamophobia“, if anyone dares to state the truth about the inherent dangers from political Islam, all the while it masquerades as a religion! Yes, Islamists and their enablers have decided that Islam is a “race” and a “peaceful religion” too, both of which are lies of an exponential order. Intrinsically, it would be as if Nazism was deemed an “accepted” race and a religion, instead of a fascist political ideology! Can you imagine?? REGARDLESS, since American (western) leadership lies in bed with ISLAMISTS it is up to average citizens to lead the charge. That’s just the way it is. So, as a very first step, help to place a western ban on mosques. They are terror headquarters, the barracks, of political Islam! This entry was posted in Uncategorized and tagged American mosques, http://islamexposed.org/2015/03/22/banning-mosques-a-western-imperative-whos-leading-the-charge-commentary-by-adina-kutnicki/, Islam is a "race" and a "peaceful religion", ISLAMIC-centric leadership, jihadi training, NYPD’s surveillance demographics unit, Sunshine Coast Safe Communities, Sydney cafe held hostage, The Muslim Brotherhood’s Quest For Global Dominance – An Interview With Adina Kutnicki, U.S. based Wahhabi-infused mosques by Adina Kutnicki. Bookmark the permalink. Pingback: Israel's Voice | BANNING MOSQUES: A Western Imperative. Who’s Leading The Charge?